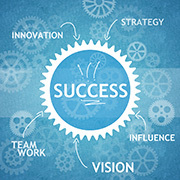 We have been continuously involved in test product research and innovation from the earliest days of Test Automation and Quality Management with several success stories under our belt, and more in the pipeline, With our continued focus on research, we look to offer ground breaking innovations in Test Automation and Quality Management. We have been pioneering automated testing, and are able to automate more of the testing life cycle by using state-of-the-art proprietary testing technologies such as OPUS. We are relentless in our mission to work with our customers on offering the best tools in Test Automation and Quality Management, measurably de-risking application failure, reducing testing cycle timescales, and shrinking project costs whilst assuring the highest quality. With a proven track record of successfully delivering testing assignments over a decade, across diverse geographies and industries, we differentiate ourselves with our core competency entirely focused on delivering leading testing products. We have our own unique Test Automation process (NMTAP) aligned with industry standard Automated Test Lifecycle Methodology. Innovation, Efficiency and Simplicity are at the core of our test products development. We have made testing process considerably less complex and time consuming than traditional methods. Our products are supported by highly trained and dedicated Net Magnus staff, from the initial enquiry, through to delivery, implementation and beyond.